What’s the best baitcasting rod under 150? Well let me tell you something – as far as rods are concerned, you always get what you pay for. Luckily, for you, there are so many valuable rods available within this price range. All you need to do is take an even closer look so you can separate the wheat from the chaff. To do that, you basically need to focus on factors such as power, quality, action, and sensitivity. We have included a detailed run-down of those toward the bottom of this review but first, here’s a line-up of some top rods. As long as your budget is northward of the $150 mark, this table will help you land a great rod in a jiffy. For a detailed review of each one of these, be sure to scroll further down. This casting rod is made from graphite and this makes it pretty light in weight yet durable. It also has increased sensitivity such that you will be able to feel even the faintest of all nibbles. It has a Fuji reel seat and this is meant to provide you with maximum comfort throughout your fishing venture. The guides are made of stainless steel which means that despite being smooth they're durable. The Mike Laconelli designed actions further ensure that you have a high-quality baitcasting rod at all times. On top of all that, this IKE signature light casting rod is meant to create a parabolic action, suitable for crankbait fishing. To start with, this rod has gone through top-quality construction. It is made out of SC- graphite and also makes use of the IPC technology. With such constituent materials, you can rest assured of a high-quality bass baitcasting rod. The premium graphite fiber can withstand higher strain than other fibers. The material will also make your rod to be a super-sensitive, lightweight and durable baitcaster. The rods are comfortable and easy to use. The materials make it lighter than other models and resistant to corrosion as well. So do not be worried if the operating environment is extremely harsh. This rod is one of the best and is also a very cheap baitcaster. The first impressive feature about it is its lightweight nature as well as it being extremely balanced. It has a natural feel and will, therefore, be comfortable in the hands. It loads fabulously and is highly sensitive such that any bite will result in an instant reaction by the hook set. It can also withstand the movement that comes about when you are still struggling with your catch and will not be easily dismantled. The split grip handles are water-repellant and will let you have a strong solid grip without having to wipe off the water time and again. The Uglystik gx2 comes at a length of 6 feet and this will ensure that the rod will be strong enough not to snap. 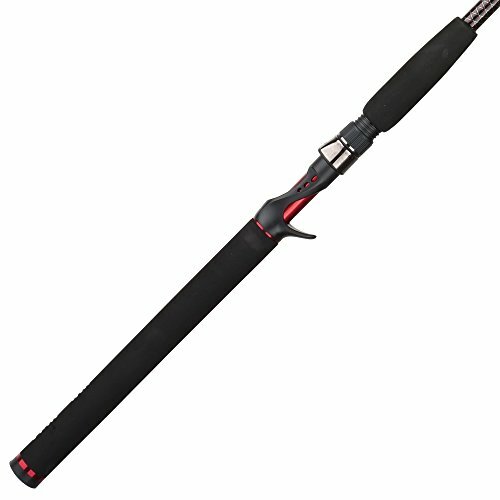 This feature is complemented by the combined materials of fiberglass and graphite which make the rod durable and lightweight at the same time. 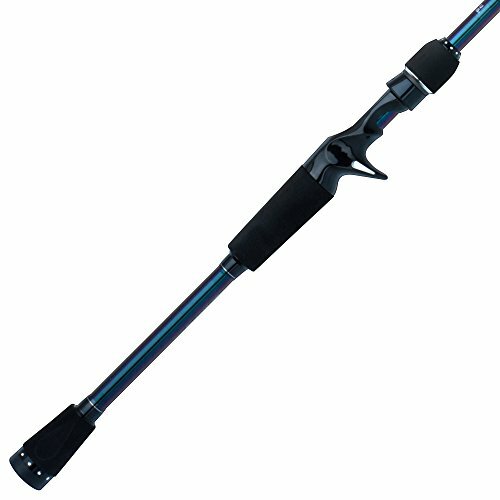 The sensitivity of the rod coupled with the EVA foam handles and its light weight means that this rod is perfectly balanced in all the major aspects. It is strong enough to allow just the sufficient bending which will never result in the rod snapping or it being too tight. On top of the bending, the rod recovers to its neutral state at a much quicker pace than other rods. The name flacon rod is always associated with high-quality baitcasting rods. It is light enough to not tire you even if you fish all day long. It is also strong enough to withstand resistance from the strongest fish. The graphite blank material ensures that it has top-notch sensitivity and you will instantly be aware of any fish bites in the water. The rod is also resistant to wear and tear and will surely serve you for a long time to come. It has Fuji guides and a Portuguese cork handle which are both of the highest quality. 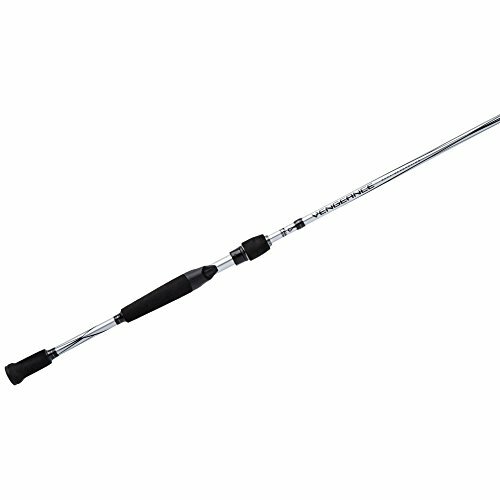 The 9-inch handle will give you a good balance while you are fishing out your target. The exposed reel seat makes it comfortable to use and gives it a stunning look. Luckily, with baitcasting rods, the higher the price range you target the sweeter the deals tend to get. But even then, you still need to be on the lookout for some substandard but overpriced rods. And to do that, always consider the following. The power of your rod is determined by its level of stiffness. Basically, a highly powerful rod is one that can be extremely bent with a minimal risk of breakage. Planning for saltwater fishing? We’d suggest going for an ultra-powerful rod. That way, you’ll be confident of wrestling the fish and having lots of fun while at it. Action simply refers to the kind of speed the rod is capable of delivering. A slow action would work well with live baits and a fast action one would work best in ice fishing scenarios. If unsure of the kind of material to settle for, always go for graphite. Otherwise, for a balanced rod, we’d suggest going for one made from a combination of fiberglass and graphite. It’s always to go for a rod with a well-made graphite tip. That way, you can rest assured of being able to detect the faintest of all nibbles. We’d recommend going for a highly sensitive rod if winter fishing is a key part of your angling lifestyle. While we’d like to admit that all the rods here are equal, we’d like to single out the St. Croix Mojo for its incredible, Integrated Poly Curve (IPC) technology. Its Fuji ECS reel seat, 3D guides, and technique specific make it a must-have no matter your level and style of fishing. Whether looking for versatility, comfort or accuracy, only the best baitcasting rod under 150 will have the potential to tick all the right boxes. So, be sure to combine the buying guide above with your specific needs. That way, you’ll be in a position to find an all-around rod that guarantees you of nothing but great value.